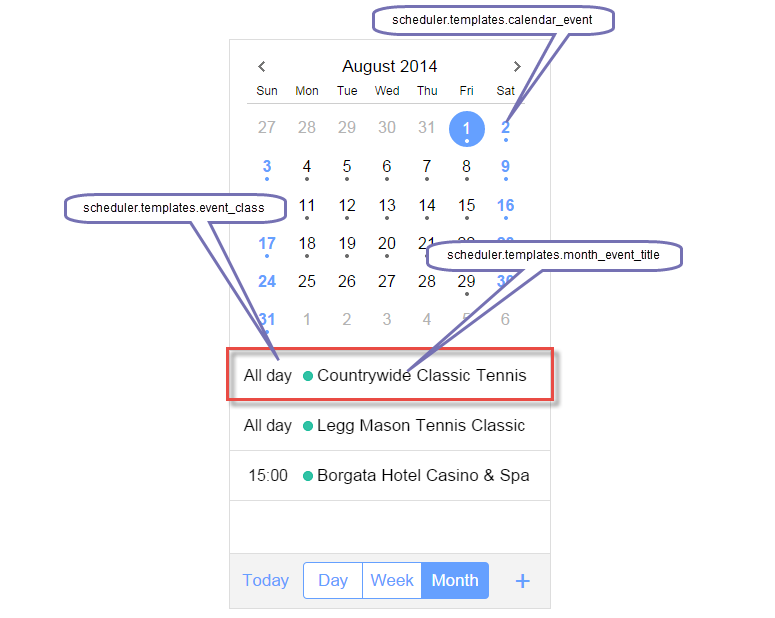 There is a set of templates that can be used to change the display of dates and titles. Beware! The templates' definitions should go before the code line with scheduler initialization. Below you can find the list of all available templates and their default definitions. 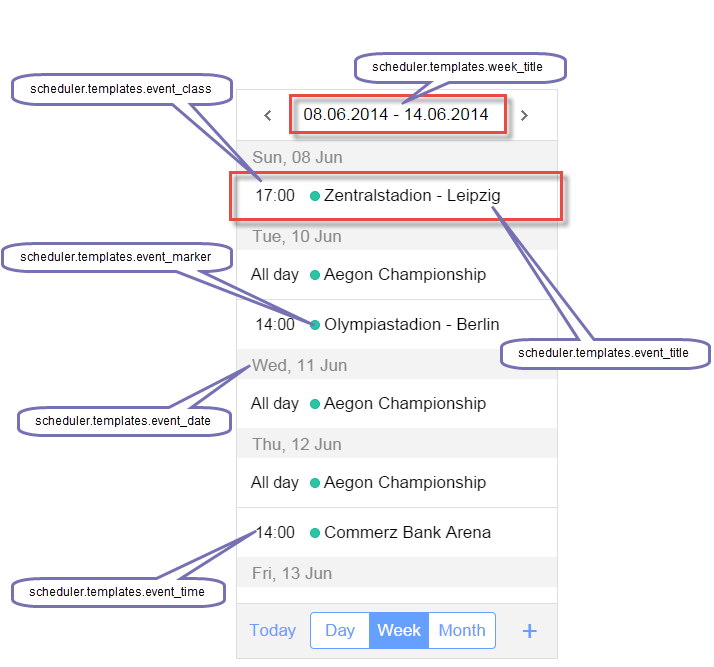 scheduler.templates.selected_event - the template for an event in the "Selected Event" view. Specifies an event in the 'Day' view. type - the object that specifies items list presentation. 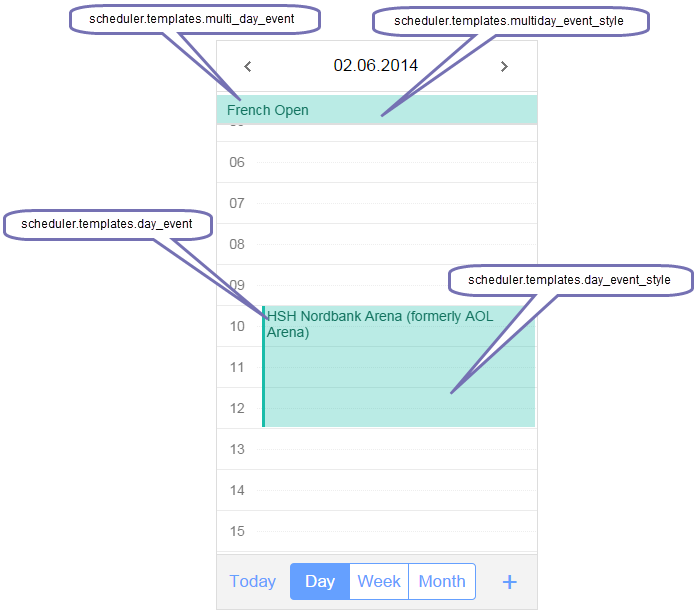 For details on the parameter see the API article "type"
The template for events in the multi-day list of the "Day" view. Specifies a CSS class for events in the 'Day' view. Specifies the title of the "Week" view. date - Date object (selected date). Specifies an additional CSS class that will be applied to events in the lists of the 'Week' and 'Month' views. //The template doesn't have the default definition. Specifies a marker in the 'Week' and 'Month' views. The content of the time part of event items in the "Week" and "Month" views. Specifies the content of an event item in the 'Week' view. The template for days with events in the 'Month' view. Specifies the default event properties. Used when a user creates new events. 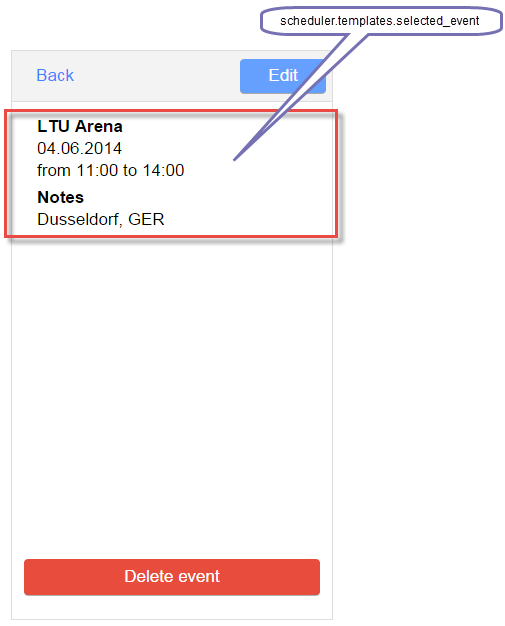 The template for an event in the "Selected Event" view.